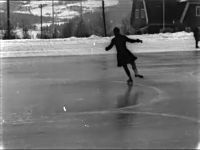 Sonja Henie practicing a routine in Lillehammer. 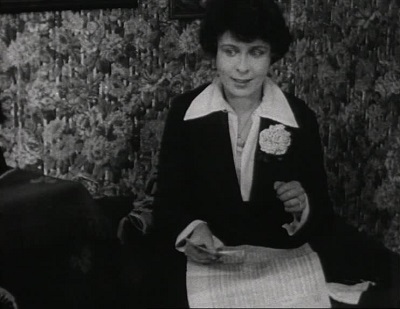 A man starts a gramophone, and after some pirouettes, Henie herself goes over to restart the music. 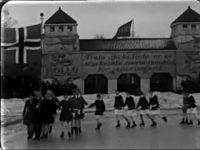 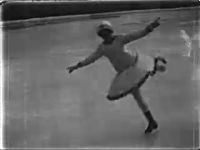 Footage of Sonja Henie preforming a practice routine at Frogner Stadium in Oslo. 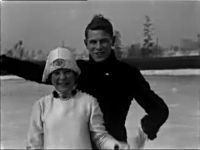 Footage of Sonja Henie and her partner Arne Lie practicing routines at Frogner Stadium in Oslo.